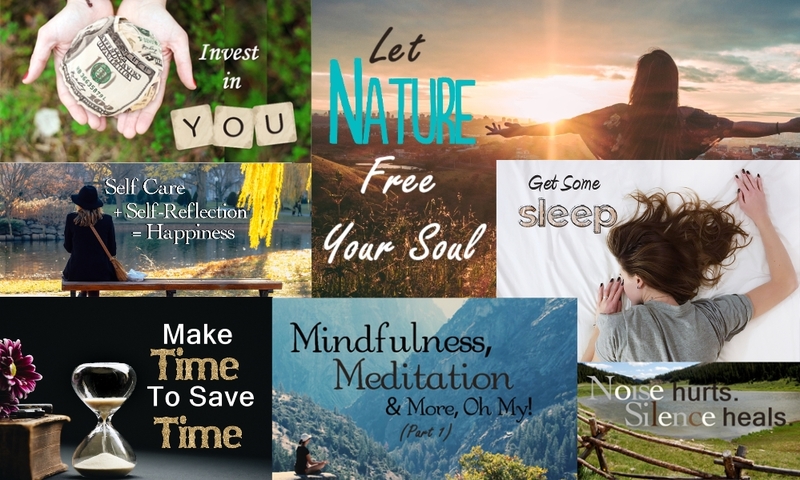 Here we go with Part 3 of 3 of “A Year of Self Care in Review.” From my previous two posts, the topics “Choose A Word of the Year” and “Using Rituals to Reduce Stress” were favorites with many. Here are the last 7 to check out. Which topic might be just the thing you need to make self care a priority in 2019? As I’ve said before, you deserve the time to think about YOU, to think about being kind to yourself, to practice some self care. Make yourself a priority and choose one, just one article to read, decide what action you’ll do for yourself, then post a comment telling the world your new intention. You won’t regret making YOU a priority in this new year. I guarantee it. I am reflecting on your reminder to invest in myself and I can vouch for the truth in that suggestion! This past year and a half I have invested a lot of time and practice with golf, a new (and often daunting!) endeavor with all its intricacies and skills. It has taught me that I have more courage and perseverance than I ever imagined…and that it’s okay to “fail” with one shot…because you can face the next ball and begin fresh again, learning from the previous shot. Also, each new shot teaches me to let go of the previous one, good bad or neutral, because I need all of my mind and body present for the next one! So many wonderful life lessons are packed into each new experience we take on…but we would never learn them if we didn’t allow ourselves to try something new. I also would never have forged the wonderful new friendships I have made through playing this game either…what blessings I have discovered! Thank you for encouraging us to keep on trying new things, Carole. You’re right: What we give first to ourselves enables us to more fully give to others and to our world!? Congratulations, Janelle, for trying something new and practicing one of the attributes of Mindfulness, Beginner’s Mind. Golf is hard! I gave up years ago. Keep up the good work, one shot at a time. Thanks for stopping by.